Richard discovered while in school the joy of developing an idea into a drawing and then watching it come into fruition. 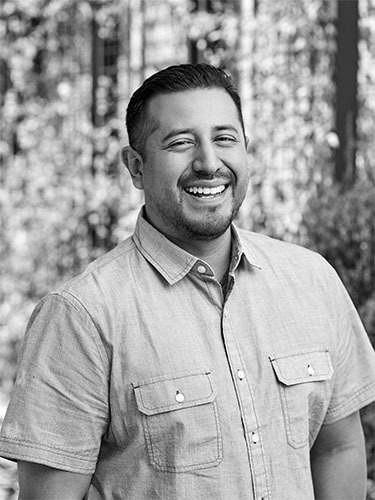 He decided to follow that inspiration and he graduated from Cal Poly Pomona in 2010 with a Bachelor’s Degree in Landscape Architecture. The first time Rich experienced a concept come to life from paper drawing to reality, he knew he had found his place. After graduation Richard initially joined a landscape construction company and learned the real world applications of his education and training. He had the opportunity to work with an array of design firms, learning much about the industry, the design and implementation process and how to successfully complete a project. He enjoyed the challenge of coordinating with all the different construction disciplines and learned very quickly just how important teamwork and communication are in this field. Richard brings those abilities and talents to Land Concern while seeking new challenges and skills on the design side. He now enjoys being part of the creative process and helping bring the clients wishes to reality.